Some NYSE partisans got a little teary and sentimental, but the Big Board still managed to sidestep on of the remaining potential landmines on its path to selling itself to a teenage futures exchange in Atlanta. Approximately 99% of the shares represented at the special meeting Monday voted for the approval of the merger, the company said in a statement. That represented about 64% of NYSE Euronext&apos;s outstanding common shares, the company said…. 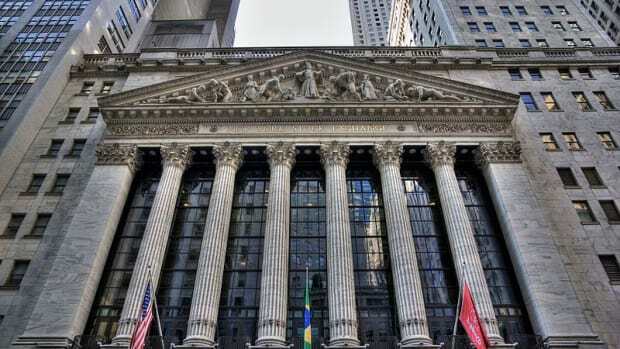 Even as the merger plan was approved, some NYSE shareholders at the special meeting expressed concerns around the deal. They questioned Mr. Niederauer over plans for the combined ICE Group to pay a dividend, while others feared for the Big Board brand under the company&apos;s new ownership. "Why is the young, entrepreneurial guy on the block buying the 200-year-old exchange?" asked one shareholder at the meeting…. Mr. Niederauer stressed the planned company&apos;s intention to continue paying a regular dividend—something NYSE currently does, but ICE does not. Another shareholder, who was a former employee of NYSE, expressed concern that ICE would spin off the New York Stock Exchange after the merger, or close the floor, and severely injure the company&apos;s brand. Mr. Niederauer said he thought that was unlikely and that such rumors were drummed up by the competition to try to prevent the merger.